"This is our family favorite! Very moist." I have made this recipe twice and it has not done well either time. It is too tough and lacks flavor. This is the best whole wheat loaf I have made so far. Great flavour and texture .I replaced 1/2 cup wholewheat flour with bread flour for lighter texture.Definitely be making it again. First time using bread machine and I've heard of many first time failures...I used this recipe, bread came out great, just the right amount of honey and everyone loved it! 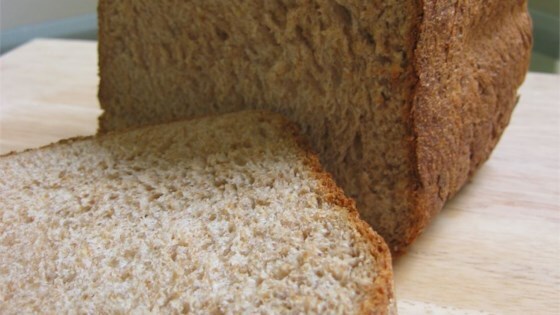 The best wheat bread I've made. Light, soft and moist, with a hint of honey. I've made this several times, and will keep on making it.